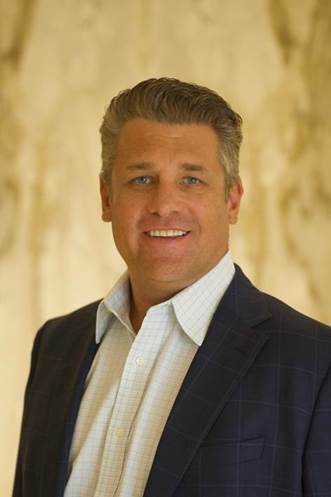 CENTURY CITY, CA / ACCESSWIRE / September 12, 2018 / Reflecting its growth as a leading global private investment firm, Los Angeles-based Skyview Capital (http://www.skyviewcapital.com/) has named noted industry executive Rod Stoddard as Senior Vice President of Portfolio Operations. Based in Skyview Capital's Century City headquarters, Stoddard will assume a lead role in analyzing prospective investment opportunities, overseeing the management teams of current investments, and monitoring overall strategy and operational performance of the company's private equity portfolio companies. Stoddard brings over two decades of operating knowledge and industry expertise to his new post with Skyview Capital, including leadership positions in the technology and internet sectors, publicly traded companies, and venture capital and private equity companies. Prior to joining Skyview Capital, Stoddard served as President of three noted companies including GoDaddy's premium hosting subsidiary, Media Temple; information services leader, Martindale-Hubbell; and leading e-commerce platform, US Search.com. Stoddard's track record is distinguished by a number of high-profile company growth expansions and select turnarounds. As President of Media Temple, Stoddard reversed a 3-year declining trend while launching an entirely new cloud solution that experienced 100% year over year growth under his leadership. During his tenure as President of Martindale-Hubbell, he re-engineered the company, increased its projected profitability by 4x and created the largest legal network online. As President of US Search.com, Stoddard led the business to emerge among the top 10 most popular e-commerce companies in the country. Stoddard also served as Vice President of Product and Business Development for Internet Brands which operates a number of e-commerce sites in vertical markets and ran his own company, Blue Water Ventures, where he built a multimillion dollar business. Stoddard earned his MBA from The Kellogg School of Management at Northwestern University and BA from UC Santa Barbara. He resides with his wife, Leila, and three children in Manhattan Beach. "We are thrilled to have Rod join Skyview's roster of talented professionals. He brings to Skyview Capital an impressive track record of success in driving profitable growth and building high performing management teams, as well as a network of strategic relationships built over a distinguished career. A seasoned executive with tremendous operating experience as a President, CEO and COO of nationally recognized companies, Rod's skills and expertise will be invaluable as we support our portfolio's continued growth and development,"; said Alex R. Soltani, Chairman and Chief Executive Officer of Skyview Capital, LLC. Skyview Capital is a global private investment firm headquartered In Los Angeles specializing in the acquisition and management of mission critical enterprises in the areas of technology, telecommunications, business services and niche manufacturing. By leveraging its deep operational resources and financial acumen, Skyview systematically enhances the long-term sustainable value of the businesses it acquires. To date, Skyview has successfully completed more than 25 transactions within its target market verticals. Visit www.skyviewcapital.com.